Nearly half of our Year 11 students have either been nominated by staff or volunteered to help around the College with duties such as Parents’ Evening assistant, bus duty helper, Library monitor and mentor group supervisor. · Elevate their positions in school. Students have negotiated their duties with the member of staff who nominated them, and suggested their roles, to ensure it is appropriate and not too onerous in a busy Year 11. They will be presented with a certificate to show they held a position of responsibility to put in their Record of Achievement for when they apply to colleges. Students currently enlisted are: George Bellew, Reece Bere, Luke Browning, Connor Bundey, Ellie Burnard, Mollie Cheshire, Harriet Cousins, Tilly Daniel, Matthew Davey, Kelly Davies, Carter Farrell, Archie Furber, Ashley Gilbert, Kirsty Godfrey, Rachel Hamilton, Elizabeth Hampton, Morris Haynes, Jamie Hunt, Kyla Ingram, Ellenar King, David Kirby, Katie-Jayne Lambe, Lydia Lavender, Jake Lee, Joe Lopez, Katy Martin, Peter McCabery, Ellie Miller, Kira Pengilly, Lee Pocock, Rachel Pocock, Mollie Rawlings, Lewis Ross, Euan Scott, Russell Sinclair, Sophie Sleeman, Joshua Smith, Mitchell Snook-Bevis, Hannah Steadman, Rhianne Todd, Jodie, Tina, Eloise Warren, Jake Willetts, Drew Williams, Ellie Williams, Luke Wonnacott, Imo Filer-Larwood, Ami May, Lauren Moon and Ursula Owen. 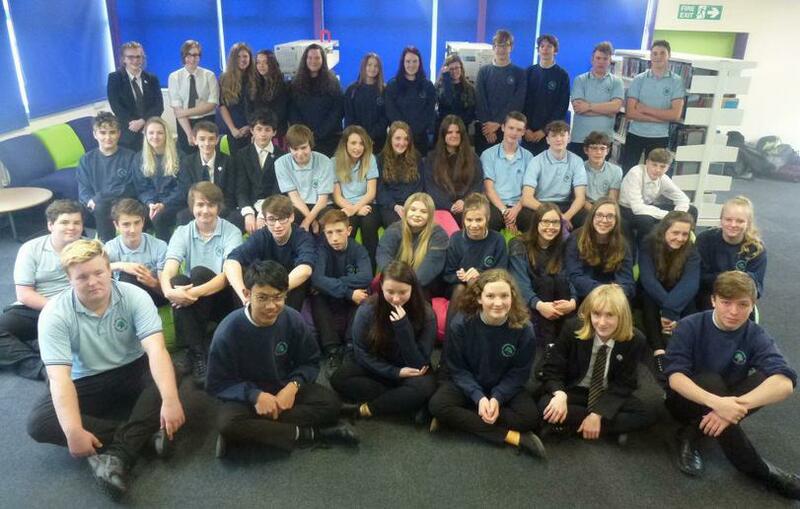 Well done, Year 11 and thank you for your help!